Whether it be playing Mozart in the womb, or teaching them to play an instrument, there are a lot of different activities you and your child can do together in each stage of their childhood to help with their development. One of the often-neglected times of development is during infancy. We tend to gush over a newborn and get distracted by how small they are, or how difficult it is to get a baby to sleep, that development focused infant activities are often forgotten about. 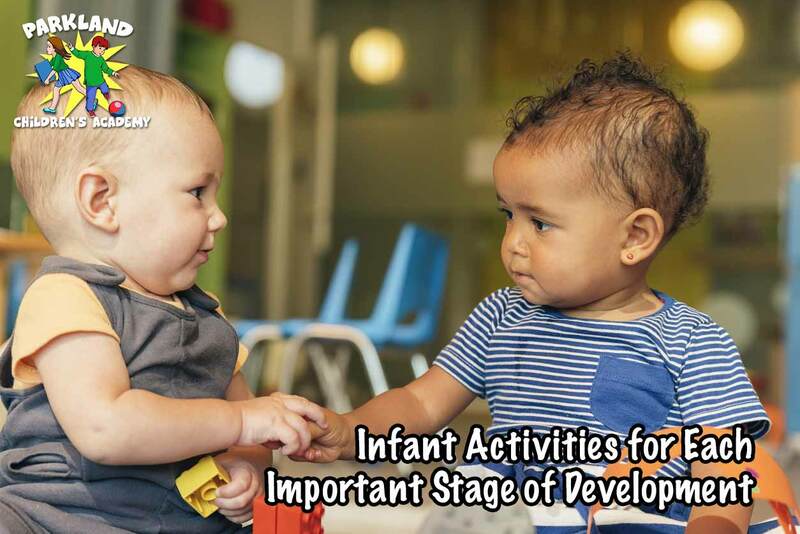 In one of our previous articles, we already discussed some infant development activities such as yoga, tracking, listening and talking, and we touched on the importance of development activities. The development periods for infants is between two months and one year old. You might not believe it, but an infant’s cognitive ability to make connections and solve problems have already begun to develop by 2 months. The most notable achievement is when an infant begins to crawl. They have solved the problem of wanting something, and having to move to get it, and as this mental development begins, the physical development follows suit. Development activities are important as they introduce new situations to your infant, which will help spur on their mental development, but also give them the opportunity to use their bodies and thus physically develop. Let’s look at important development activities for each period of their first year. During the first four months of your baby’s life, you will start noticing, that your infant has begun to recognize and smile at you, and will be more willing to smile at strangers, due to the positive experiences of smiling at you. At this stage it is important to engage with your baby. This can be done in multiple ways, such as holding your baby securely to your chest, and dancing along to your favorite song, by playing peek-a-boo or any game that will bring a smile to your and your child’s face. Try playing games that allow your infant to reach out and grab hold of or interact with an object – this can be simple as having them grab a toy from your hand, or having them interact with bubbles for the first time. By now your baby should have really developed an interest in the world around them. It’s important to promote this curiosity. You should begin talking to them in simple and short sentences, tell them what you are doing and what they are doing. You can also begin letting your baby feel more textures to allow them to develop tactile feelings. Allow your baby to sit on the couch with you and feel the leather or fabric. Lay them on the floor and let them experience the feeling of a play mat under their bellies. Tickling and blowing raspberries on their tummy is also encouraged at this stage. As far as physical development goes, you should let your baby play without a diaper for short periods throughout the day, this encourages them to kick and use their legs without the diaper restricting them. You can also begin introducing your baby to new colors, and let them freely choose from their toys, as they will begin to be drawn to various colors. 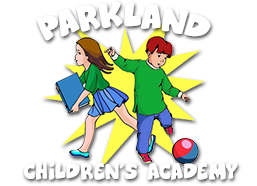 This is usually the most exciting period for parents, as your child begins to really explore the world, encouraging their personalities to develop. Your baby should be able to lift their head and chest when they are laying on their tummy, and should be able to roll over around 6 months. Your baby will also begin chewing around month 6 or 7. You’ll also begin to learn some of your infant’s preferences, whether they enjoy baths, or don’t enjoy getting dressed or undressed. They will also begin to recognize family and friends and begin to show preference to people they like. At this stage you will want to begin child proofing your home. Create a secure playpen for your baby and allow them access to multiple, safe items to interact with. It can be anything from a football to a teddy bear, to a baby friendly shape puzzle. The more your baby is introduced to, the more they begin to problem solve and use their body to achieve the goals they set out. Talk to your baby and encourage them to talk back, even though it’s all “coos”. When they are on their tummies encourage them to crawl to you and show interest when they try to share their favorite toys with you. There are a lot of other activities that will encourage growth both mentally and physically, the important thing to remember is to actively encourage your baby when possible. Allow them to explore their environment safely, and let them choose their own toys and activities. If you see your child is not enjoying something, don’t be afraid to mix things up. Begin to explore the activities offered at your infant daycare, and remember that play and activities are important to your baby’s development, and sets them up for future success in their development.